Guest columnist Jonathan Ellis seeks hard-to-find global favorites at an independent grocery store. Let me introduce to you my husband, Jonathan Ellis, who started the Searching for Sincerity blog with me about 10 years ago — before Yelp or our country's obsession with rating everything. It was our way of commenting on places we encountered around town or in our travels, places we found extraordinarily sincere or not even in the ballpark —and everything in between. Jonathan is a writer, professor, painter, sculptor and all-around fixer and inventor of many things. He's jumping in to help me with this column while I am temporarily back in school. Thank you, Jon! Barbur World Foods is not a gigantic grocery store that sells everything and anything. This is not the type of store to go to if you want to buy hula-hoops, lawn chairs or value-pack hotdogs in bulk for your summer bash. Clearly, we all already know where to find those football-stadium-size stores where such items can be purchased. No, this a comparatively small store that features a satisfyingly vast variety of food products from, you guessed it, around the world. What's most striking is the amazing selection available in its unlikely location at 9845 S.W. Barbur Blvd., at the very busy intersection of Barbur and Capitol Highway. Walking in is to discover oneself in something of a throwback. Frankly, this store might not have been on my radar at all except for the fact that it's literally a walk through the (Woods Memorial) park for me to get there, which not only makes it handy but also a great destination when I'm out for a stroll. Now that I've discovered this place, it remains in the mind, in the senses and on the palate. The deli section is a wonder, presenting a delectable selection of freshly prepared dishes daily, including a fantastically delicious halved chicken that must be experienced to be believed. This is not your typical roasted chicken in a domed-plastic container we're talking about here. It has been seasoned and cooked to perfection, and all one needs to do is choose the one that looks best in the display. It will be placed in a waxed card-stock box (no Styrofoam here) and can be presented to loved ones at home as a perfect example of your superior "cooking" skills. 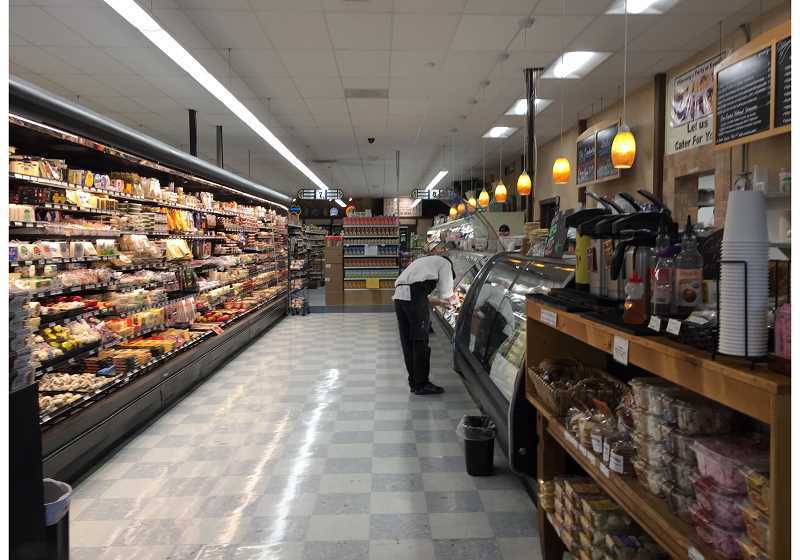 The produce department presents in-season fruits and vegetables, as well as hard-to-find specialty items. Meats and seafood are hormone- and antibiotic-free, originating from local farms and vendors working in partnership with the store. There's also a huge selection of dairy products, including a stellar array of cheeses. And let's not forget the beer and wine department, admirably stocked with both local and international beverages that can only enhance a well-prepared meal. Let's face it, most of us have a specialty item that calls to us from afar, something that we perhaps chanced upon in our wanderings, something that can be difficult to find locally. My item of choice is Green Chile from New Mexico. I lived in Santa Fe for many years and came under the thrall of this amazingly flavorful vegetable. My wife and I then moved to the East Coast where, if we wanted our fix, we had to have it imported at highly-inflated prices. Now, here we are in Portland, and there is indeed something in the air, particularly come mid-August. That familiar bouquet is the same as that which blankets the city of Santa Fe — and really most New Mexican towns — throughout the state at that time of year. In the past, Green Chile rarely got beyond the borders, probably because its local popularity has it consumed before it can be exported. However, everything has changed. Los Roast is a company that sells its Green Chile products in the World Foods store, and each year in the corner of the parking lot they roll out a roaring flame roaster. This year, expect to find it there the weekend of Aug. 18. They will roast your selection on the spot and you will be treated to an unforgettable aroma that precedes the experience of something like Sour Cream Green Chile Chicken Enchiladas. Barbur World Foods makes it all happen.